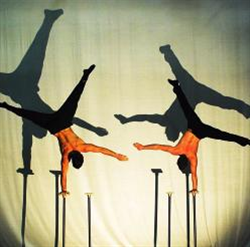 Head First Acrobats bring their show, Elixir, to the Brighton Fringe, playing the Brighton Spiegeltent’s Bosco. Described as “A unique mix of mayhem where handsome boys and incredible circus tricks meet with impeccable comic timing to make you laugh and smile”, Elixir is a piece of narrative circus in which “Three acrobatic and enthusiastic scientists attempt to create the elixir of life”. Thomas Gorham from Head First Acrobats chats to Paul Levy about how the show came into being and how circus combines with narrative to bring the story to life through acrobatics. 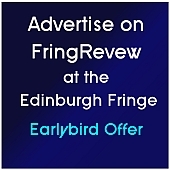 This entry was posted on Sunday, April 26th, 2015 at 12:47 pm and is filed under Audio Interviews, Brighton Fringe 2015. You can follow any responses to this entry through the RSS 2.0 feed. Both comments and pings are currently closed.